JBL is currently running a fall sale on all kinds of audio goodies. 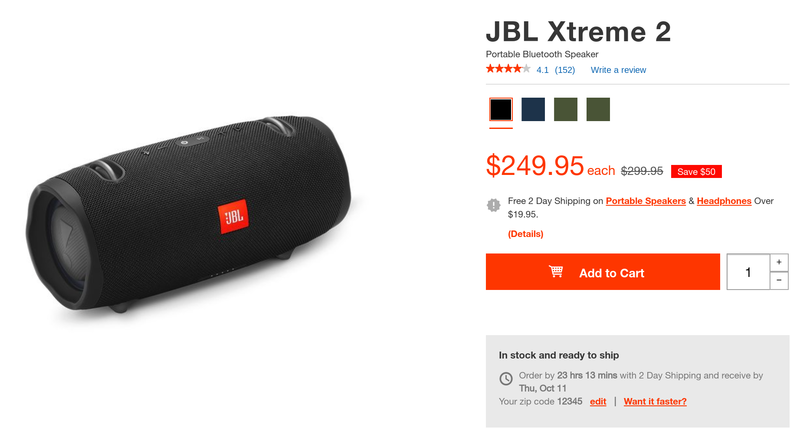 In addition to the Link View smart display, a number of desirable JBL products are significantly discounted, including the Xtreme 2 Bluetooth speaker, which is $50 off, and a number of Google Assistant-enabled headphones, most of which are also $50 off. The Xtreme 2 is a big, ruggedized Bluetooth speaker, boasting IPX7 water resistance and a purported 15 hours of battery life. It also comes with an over-the-shoulder carrying strap that has an integrated bottle opener, which is certainly a novel addition. Normally $299.95, it's currently discounted to $249.95. 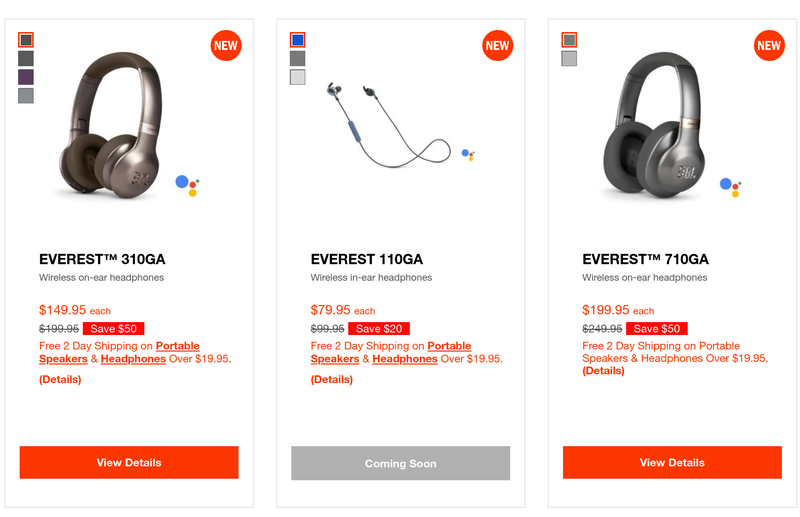 Also on sale are JBL's Everest 110GA, 310GA, and 710GA, three models of Bluetooth headphones with Google Assistant integration. The 110 are in-ear, and are on sale for $79.95, $20 off their usual $99.95. The 310 and 710 are both $50 off; the former is an on-ear set for $149.95, while the latter is a bigger over-ear model going for $199.95. All three provide access to the Google Assistant with the press of a button and can read incoming notifications out loud, Pixel Buds-style. These deals are available from plenty of retailers. There are others, too, including savings on additional Bluetooth speakers and non-Assistant headphones. You can peruse the full list at JBL's sale page, or hit the source links below to check out the ones named here.